For off-site corporate meetings, luncheons or network mixers, Stone Mountain Manor provides a comfortable, relaxed, non-corporate environment to help you successfully achieve your business goals. Our multiple spaces can accommodate small meetings of four or larger groups of up to 50. Our spacious boutique hotel with seven guestrooms are perfect for those two-day trainings that require overnight stay or for traveling executives in need of some rest and rejuvenation before the next board meeting. Planning a corporate holiday party for your dedicated employees who worked tirelessly throughout the year? 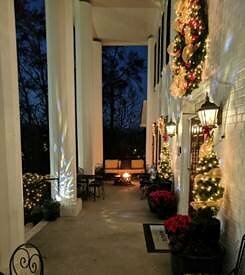 The Manor halls are decked annually with lots of joy and holly to host THE BEST holiday festivities! 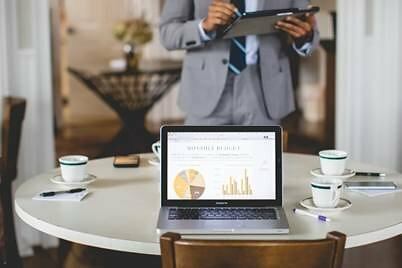 Offering various conference tables, we’ll match accommodations and events to the unique personality of your team and create a truly memorable experience!